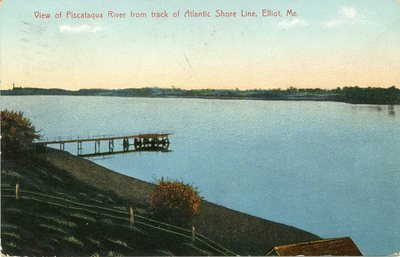 "Elliot, Maine, View of Piscataqua River from Track of Atlantic Shore L . . ."
Image scanned from a color postcard shows the view of the Piscataqua River in Elliot, Maine from the track of the Atlantic shore line.